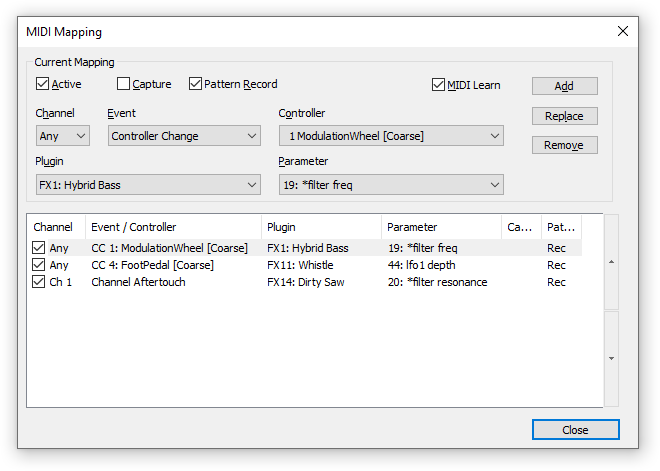 either "midi-port" or "usb audio interface"
select the parameter, click "add"
Repeat step 6 as often as you like with different plugins and/or parameters. NOTE: this will only work "live" while actually playing/performing the song. this feature can not be used for recording in OMPT. If you want to record it, start an external sound-recording software like wavelab/goldwave/soundforge/... and record it that way. Nice work, BSV! That's a really handy tutorial. Now, all I need is to get myself some hardware... hmm... Yeah, this should go into Technical docs. It should also go on the wiki, imo. I just wanted to add to the 'thank you's' of this tutorial. Simple yet expresses exactly 'how it is done'. MIDI input and output is the hardest part for me to write up in the Manual because there is practically NO info on it using with MPT. 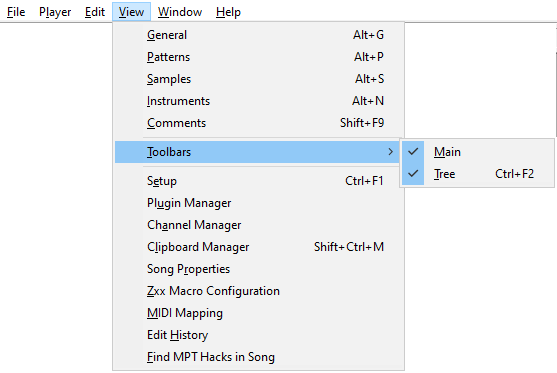 So any help in workarounds and plugins that help us use MIDI with MPT is tres helpful. 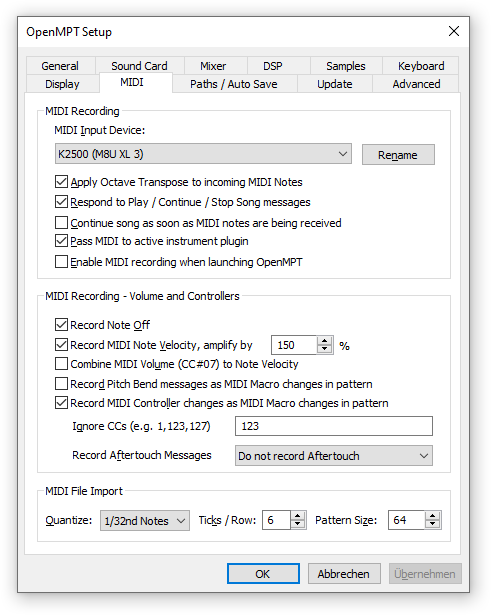 I'm especially interested in using a MIDI keyboard to input notes, and wonder what must be done to get MPT to play a MIDI synth. I think I'm going to try to drive OMPT with a keyboard and see if I can play samples microtonally. If I can, and it seems I should be able to, this opens a very affordable way to do microtonal music.